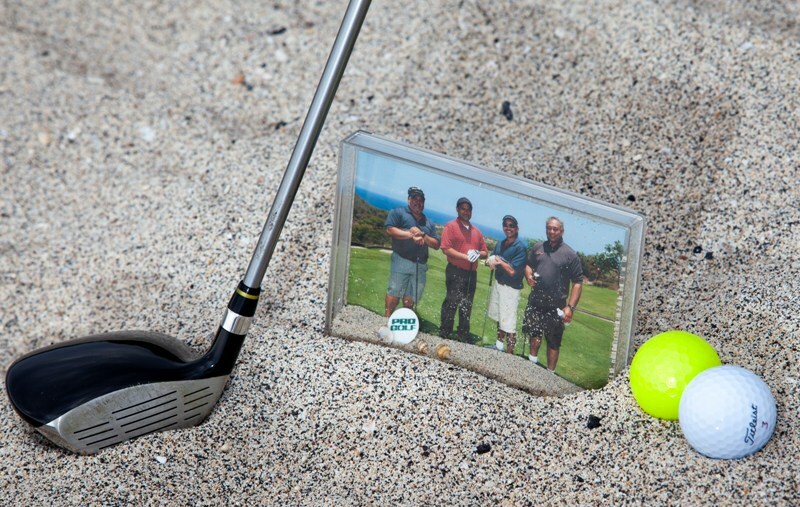 You can keep memories a little stronger a little longer with memory cards. Filled with souvenirs collected on trips (Sand, Shells) and pictures developed afterward or items that remind them of someone or an event/milestone, they are like little worlds that can be visited again & again. Kids can also add to them or rearrange them anytime they like. It can be a lasting keepsake or gift. 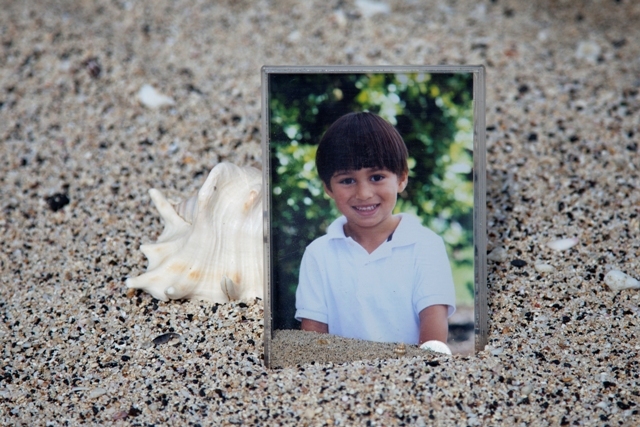 Ck out our Mailable Photo Frames which can be made into a memory card today! The only limit is your imagination! Did I mention they can be mailed AS IS, no packaging required? Well they are designed for that too – just slip a postcard in the back and mail it! Now it’s even date stamped to commemorate it! In Hawaii, you find out sooner than later how small the World really is. We are called a melting pot and we’re incredibly lucky, those of us who grew up here, so many different people, so many different cultures and so many different combinations. We just learn to live with each other, and that’s just life! 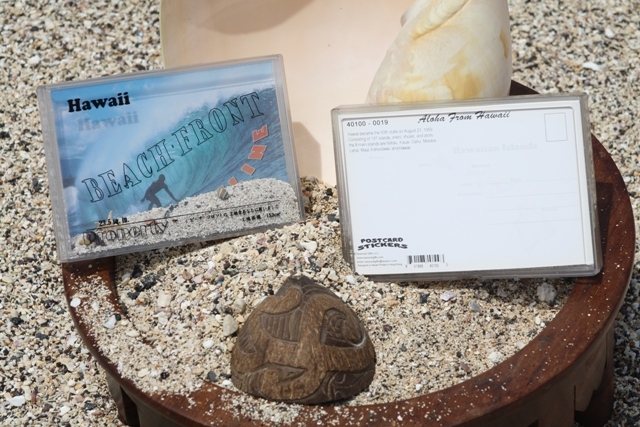 Our new Product, Hawaii BeachFront Property Postcards was developed and design for two reasons: 1) to help keep Hawaii intact – most tourists admit to taking sand from one of their favorite beaches back home with them and 2) To keep people connected with Hawaii ~ whether as a souvenir they take home or as a gift they send or receive! With the average price of BeachFront Property in Hawaii at over $300/sqft, it is out of reach for the average person like myself, and pretty much everyone I know! It doesn’t stop us from dreaming about it though ~ who wouldn’t want to own BeachFront Property in Hawaii? Especially now when much of the Country is experiencing near or below freezing temperatures and people (snowbirds) are flocking to Hawaii to thaw out and enjoy the ever ready sun…the friends and family left behind are forced to use their imagination at all Hawaii has to offer! What if there was a way to send them, yes ~ send them…their very own Hawaii BeachFront Property? 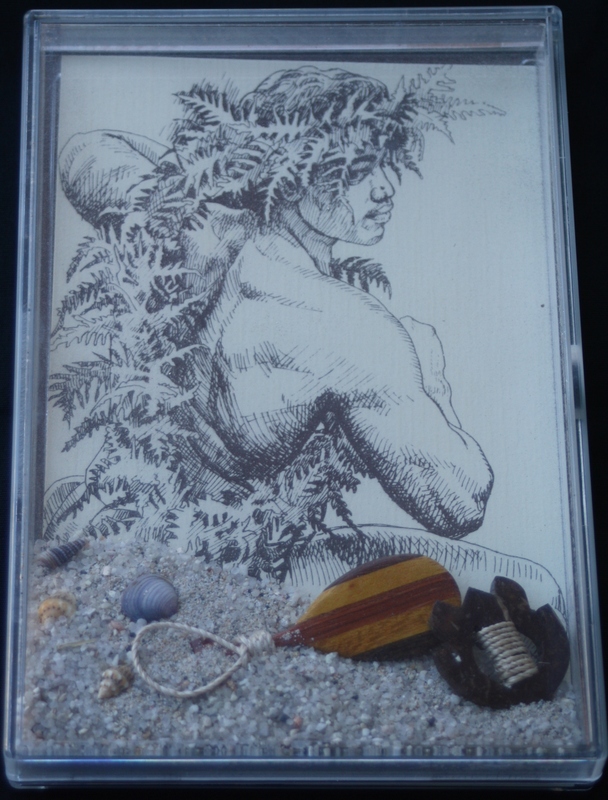 What if I told you that you could buy 23.5 SqIn of Hawaii BeachFront Property for just $11.99? And then mail it to your friends, family, jealous co-workers or neighbors? Well, now you can do just that! 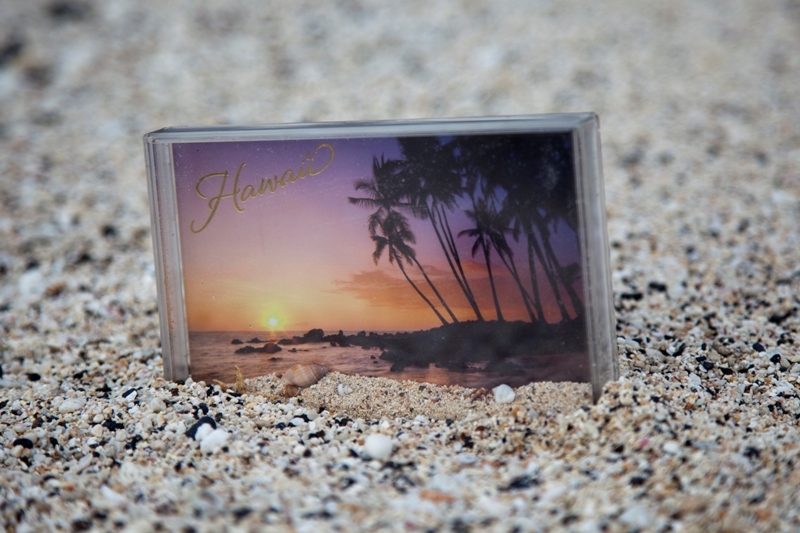 HawaiianUp llc, a Hawaii Based Company has developed and newly patented a 3D Postcard/Photo Mailer which enables you the opportunity to provide friends and family with a truly unique experience when they receive their “gift” in the mail. As a transparent vehicle that requires no external packaging, it is filled with sand and shells or anything you want to put in it and combines the best in humor, entertainment and keepsake features unlike any other product on the market today! It simply brings users the next level of personalization to whatever experience you wish to share. Just slap a postcard in it and mail! It makes an incredible Birthday gift too! Who wouldn’t want to receive their very own Hawaii BeachFront Property? 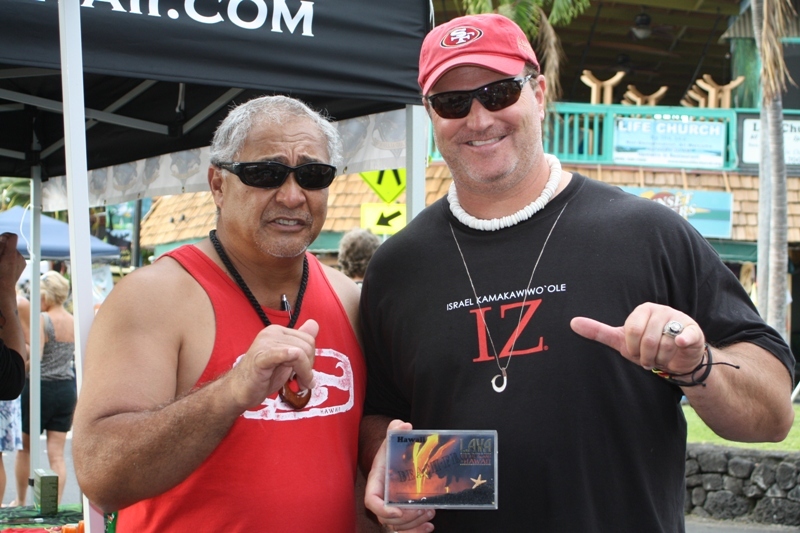 Check us out at http://www.hawaiianup.com. 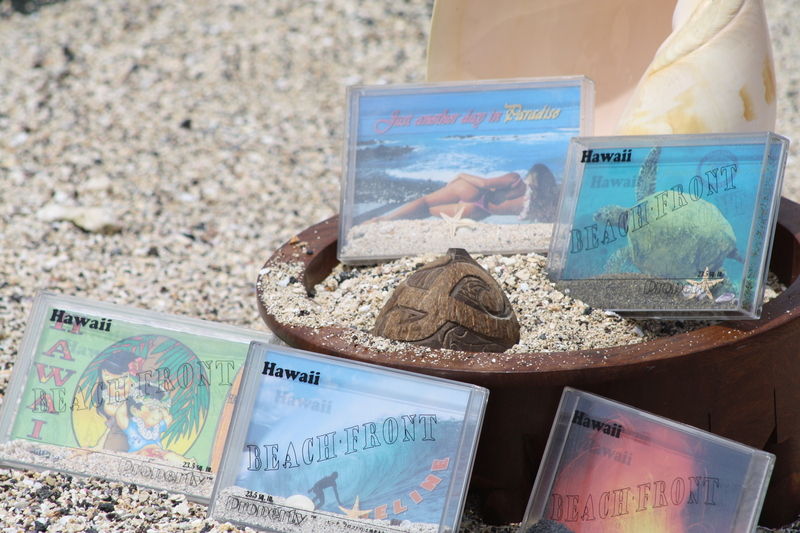 So never say never when you think about owning Hawaii BeachFront Property, because it’s just a postcard away! Aloha! “Consumers have been looking for a more affordable bang for their buck, and we’ve responded by introducing a way for them and everyone they know to own their very own “Hawaii BeachFront Property” said Noelani Wong, President, HawaiianUp, llc.